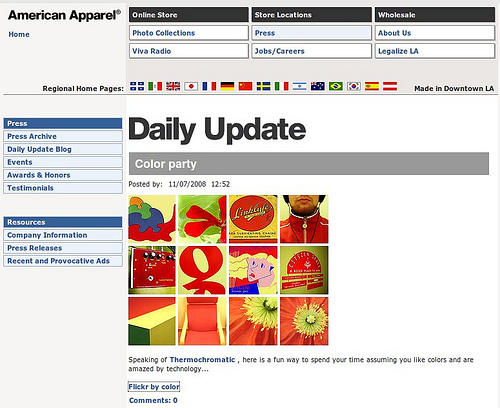 The other day I noticed on The American Apparel Daily Update an image of mine! They had highlighted it because it came via a color search on Multicolr. I found it interesting that an image of mine should come up. 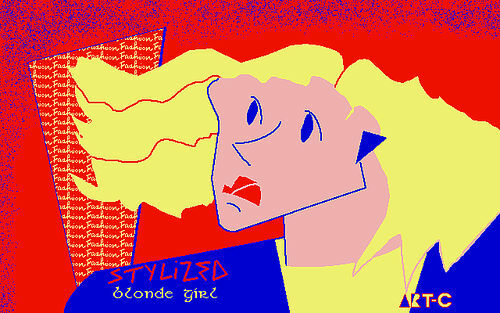 It’s from my old set of Amiga Images. Multicolr is a pretty fun tool. Joe Crawford blogged this at 7:29am in 2008 in November. The 11th was a Tuesday. You are reading this 10 years later. Comment. There is one comment Tweet. Send email. It has hashtags→ amiga flickr photos serendipity .